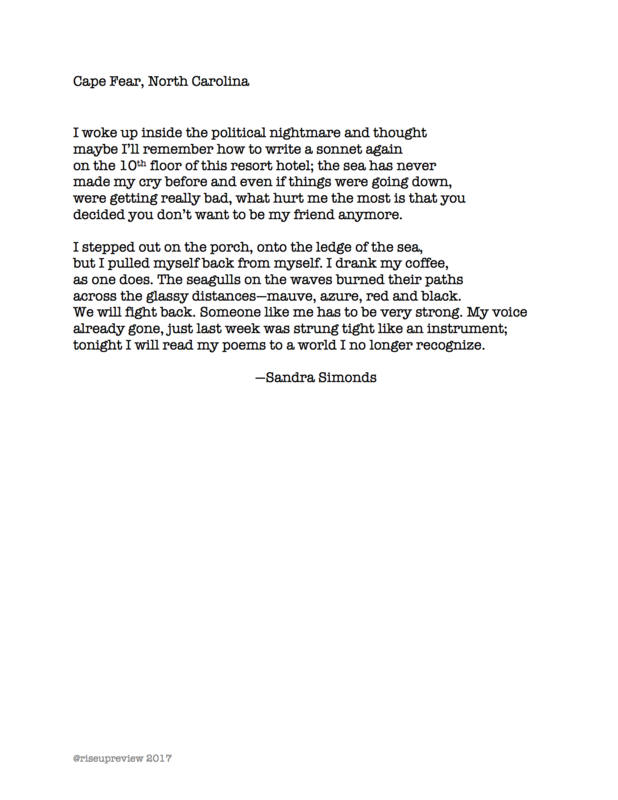 Sandra Simonds is the author of six books of poetry: Orlando, (Wave Books, forthcoming in 2018), Further Problems with Pleasure, winner of the 2015 Akron Poetry Prize and forthcoming from the University of Akron Press, Steal It Back (Saturnalia Books, 2015), The Sonnets (Bloof Books, 2014), Mother Was a Tragic Girl (Cleveland State University Poetry Center, 2012), and Warsaw Bikini (Bloof Books, 2009). Her poems have been included in the Best American Poetry 2015 and 2014 and have appeared in many literary journals, including Poetry, the American Poetry Review, the Chicago Review, Granta, Boston Review, Ploughshares, Fence, Court Green, and Lana Turner. In 2013, she won a Readers’ Choice Award for her sonnet “Red Wand,” which was published on Poets.org, the Academy of American Poets website. She lives in Tallahassee, Florida and is an assistant professor of English and Humanities at Thomas University in Thomasville, Georgia.